Northwestern took a break from team competition this week with the Junior Olympic Fencing Championships. The Wildcats performed admirably in the pools portion of the event, but faltered in the direct elimination portion. Four Northwestern fencers represented the Wildcats at the Junior Olympic Fencing Championships, as was the case last year. And the Cats once again produced an underwhelming set of results. NU brought four freshmen to the Richmond, Virginia, event, three from the foil group and one from epee, and although the initial showings were successful, the quartet struggled once elimination became a part of the equation. The foilists who travelled for the contest were Lucia Procopio, Michelle Lee and Stefani Kahooklee, while Katie Van Riper represented epee. In the pools stage, consisting of six matches, Procopio, Kahookele and Van Riper all ended with positive indicators. All three secured byes in the first round of direct elimination. But the whole quartet proceeded to lose its Round of 128 match, far below Schiller’s hope that the four could all make it to top 32 (or even top 16). Kahooklee finished 68th out of 176 in foil, with Lucia coming in 103rd and Lee tied for 118th. Van Riper placed 82nd in epee among 187 participants. Yet the uninspired showing will be short lived. The event was simply a chance for a few NU fencers to show off their chops while the team aspect was entirely absent. 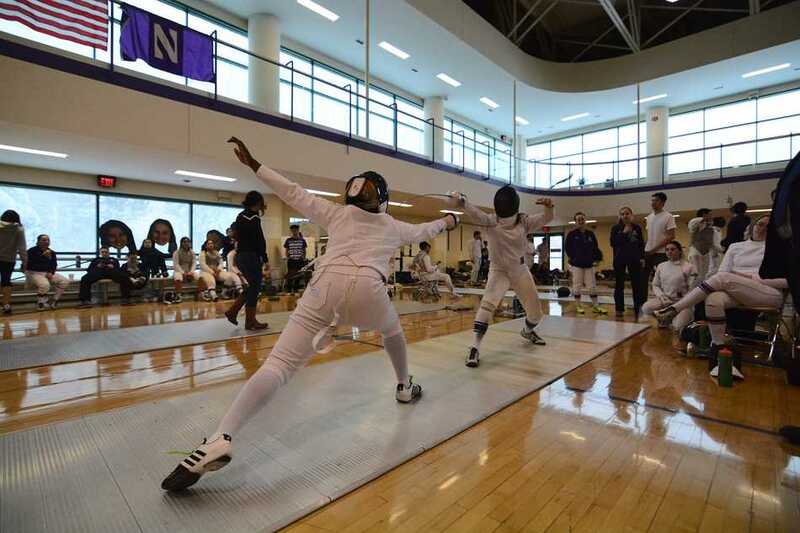 NU will commence the Midwest Fencing Conference Championships on Saturday in Evanston. The focus will be on taking down Ohio State, who the Cats have played to 1-1 this season. With the extra rest from this non-freshman group, the Cats may be poised to take the conference crown.